My ride!!! Proud of this "only 505hp red neck all motor Chevy!!!" Where is the proof of the Laguna Seca 1:34 lap? I think some Corvette fangirl posted that time. They are know to be liars. Provide proof or it never happened. This is just like adding the Ameritech McLaren F1. 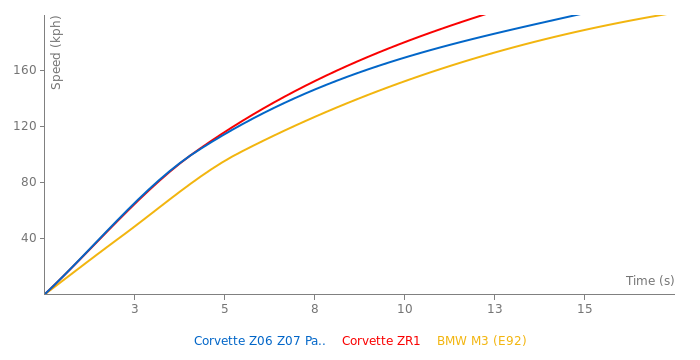 The performance is very similar to the basic Z06. It's like adding the N-Attack version of the Nissan GT-R NISMO to this site. I tried adding the 2000 Viper GTS (ACR version), and it got deleted because I realized now after it was deleted that despite having 10 more ponies it is very similar in performance, etc, to the other GTS. This one really needs to be deleted! Btw, the regular C6Z is also two ticks faster in the quartermile. No i didnt, It just got combined, A little extra weight savings and a rear diffuser isnt enought to have a seperate page. Thanks for that link! "Only" 505hp, and it's even with the 590hp McLaren and only .1 behind the 690hp Aventador. Just awesome, I can't wait for the C7! Katech will do things like radio and A/C deletes if you want them, and they do replace some of the OEM parts with lighter ones, but that's about as far as it goes. They also do full interior packages(courtesy of Caravaggio Corvettes), which are absolutely fantastic. But it comes at a price beyond money; all that leather, alcantara, the new seats, steering wheel, ect, adds quite a bit of weight. I can personally attest to that, as I purchased their Street Attack package in 2010, after keeping my Z06 stock for nearly two years(with the exception of a brake upgrade). This included the full Caravaggio interior, and after all was said and done my Z had gained over 200lbs. I don't think GM will put something that "upmarket" in the C7(a Caravaggio package by itself can run you over $20k), so I'd say the new factory interior will add at least 100lbs. Now whether they can compensate for that by saving weight elsewhere, I don't know, but the interior by itself is definitely a weight penalty. @Cool, I believe Katech makes the ZO6 lighter then it is, and the ZO6X Concept, with full radii/Air con/Sat nav,its stripped from the doors, bt thats about it. i believe the New Vette can be a good deal lighter, but im not gonna hold my breathe for anything under 3100Lbs. And i think any True Purist(Maybe not so much Enthusist) would prefer a H Pattern. ^...Doubt it, i could care less if they use Carbon. 2: Titanium Can be expensive, but so can any material, it al depends on the Grade and type. 3" Ignorant people think Plastic is a bad and cheap material, and there quite wron, Plastic is one of the best materials to use in the automotive world, its easily repairable, easy to maintain, easy to get, wont rust, Lightweight etc etc, an theres also the grades and typs(As mentioned before) n dunno bout other people, but id rather get hit by a Plastic car then a steel car...(ANother useful feature) and if a Plastic car can do, what these cars can do, is that not awesome engineering?. If im gonna win a race, with a big cash reward, ill use a DCT hands down, if somethings on the line, other then that, H Pattern all day. 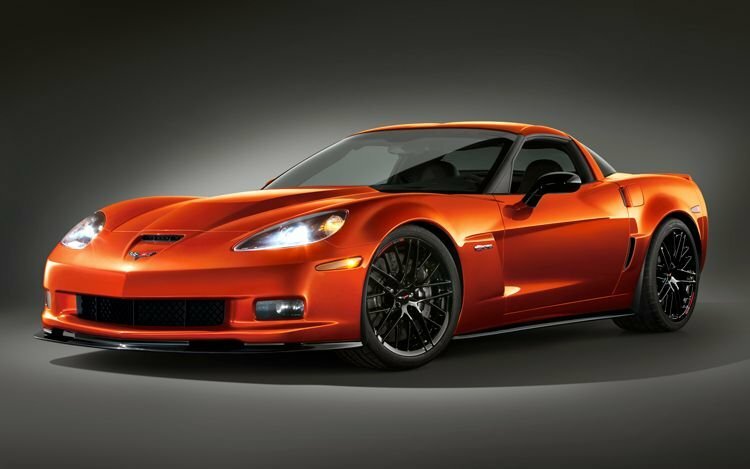 And I think that Z06 is now the equivalent to the StingRay. About the DCT in a Corvette... Well I have to say that, yes, it would be better at the track, but about the feelings? But seems I'm getting more optimistic with the DCT. Okay, quality made CF and Maybe DCT - all needs for C7. My conservativity can't agree completely. Still I'm a noble dinosaur and drive only RWD manuals (I have to admit I've never driven an automatic LOL). 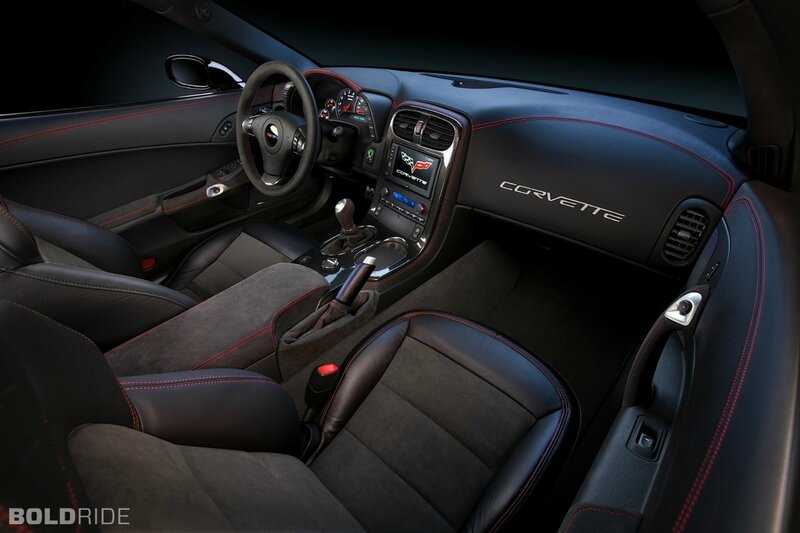 Carbon fiber - the only good innovation I can imagine in the C7. It would be great, if the GM managed to use a high-quality CF almost everywhere. I think everyone shall agree - it'd be better to spend several thousands of greens to get the reliable, well-made, useful CF. Titanium? That's a great materia, but it's too expensive, cause you get it not everywhere and it's quite difficult to process this metal. Also, I've got to agree, I doubt the C7 will be significantly lighter than the C6, if at all. The Z06 was already about as light as it could possibly be, and it only got heavier as they added stuff to it. I don't see how they could possibly bring the weight down to near 3000lbs(as many on the Corvette Forum are hoping)with the addition of all this new tech. The upgraded interior alone is probably going to add another 100lbs, minimum. And I, too, am a proudly-admitted sucker for a manual transmission. I go to the track purely for fun, and a stick and a third pedal are two major parts of that fun. Now, if I raced professionally, as in for respectable sums of cash, I'd want a DCT and all that good stuff, to give myself the best chances of winning. You know, a couple months back, I raced a fellow Corvette owner on the street. Not something I normally do, but it was just a small gathering/BBQ with some fellow enthusiasts, a little hot-rod get-together, and it just "happened" to be just a stone's throw from a perfectly straight road that probably saw about 10 cars a day. Before we started, I found myself wondering why no one seemed to be talking to this guy, even though he had this awesome car. I found out. His 'Vette, though it looked like a C6Z, and was pushing some 800hp, was actually a base 'Vette with a faux-Z06 wide body kit and 345 rear tires. And wouldn't you know it, the thing was also an automatic. I think a little part of me died that day. They probably wont with there price range, and most people couldnt tell the difference between the different grades, even i couldnt, maybe unless i looked realllllllllllyyyy really close at the finish, then maybe. I dont mind fiber glass either, r any leightweight materail. people seem to think that Plastic is a bad thing, its not, its a great thing, in high class cars. And they could always use Fake CF like the Challenger, looks the part, but not as strong, maybe lighter though at 1/4 the price, i definetly dont mind that. and you can create that SAME wow factor with a fake, or less extravagent, its pretty easy to do, but company, or atleast most dont, smply because of the typ of client and the market. GM most certainly won't use high-grade CF on a car that's likely going to be priced at around $55k to start. 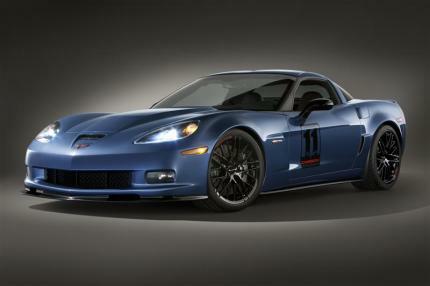 Even the Z06/ZR1 equivalents likely won't have the kind of CF you'd find on, say, a Koenigsegg. Afterall, very few could tell the difference, and there's barely any point to using CF in the first place, other than to project an "upmarket" image. Yeah, CF is lightweight, but so is fiberglass(it's good enough for Lotus and Gumpert). But fiberglass doesn't have a "wow" factor to it like CF does. And it certainly isn't for safety: unless your car is clad in 1/2 inch steel plating, body panels do jack shite in a crash, whether they be CF, fiberglass, aluminum or regular old sheet steel. 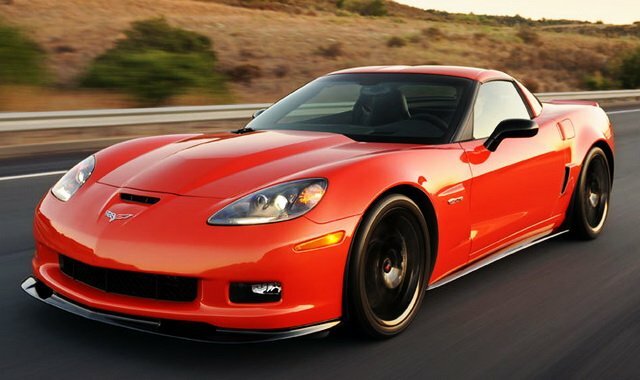 It's all about the chassis, and no one can say a Corvette's chassis uses sub-par materials. So yeah, GM could certainly get away with using lower-quality CF; Chrysler's likely doing the same with the Viper. Dont forget the different grades of CF too, what Chevrolet may use maybe of a different type and/or quality of CF, I know Koenigsegg and Pagani use Extremely good quality CF that has been made to perfection, wether GM would use a similiar typ or not may be in question. Plus making CF could be a dangerous process too, and could need a special type of skill. I prefer less driver aids, and more driver involvement. However, I am a dinosaur who still drives a true manual transmission. ^Spoken like a True Enthusist and Purist, and i Agree with you fullheartedly. However, i would like to see a Sequential and a DCT as an option in Corvettes. The price of using CF in general has gone down. The problem isn't the CF itself, it never was, but the process of making it; specifically forming it into shaped body panels and whatnot. Back when CF was first introduced, the only people who had the proper know-how and machinery to do that were aerospace engineering companies, or a select few automotive companies(i.e. Vector Motors). Until somewhat recently, it was akin to going to a mechanic shop; it wasn't the cost of the parts themselves that got you, it was the labor. But nowadays, even the most obscure replicar and kitcar producers can make car bodies and even interiors entirely out of CF(though most don't have the tech or budget for things like a carbon chassis). Compared to just a few years ago, CF is cheap now. And if GM has managed to make a contract with a supplier, they can get it at even less cost. @BR2' yeah CF is an expensive upgrade, but apparently GM made some deals to lower the price a lot. I think that the Corvette engineers are trying to use lower weight rather than driving aids to improve performance, and I approve. Many performance cars have gotten much heavier, and depend on horsepower increases and driver aids to keep performance up. I prefer less driver aids, and more driver involvement. However, I am a dinosaur who still drives a true manual transmission. I like CF, but all that CF will make the car more expensive, and keeping with American tradition, with high performance at half the price, ti really hp thats not becoming the case. I definetly dont mind high tech, but i dont want the car to be driving me, i want to drive the car. As far as i know, Hotwheels has made a type of every model of Corvette thats ever been made, i even had a few back in the day. Id love a new StingRay model to be released, and an InLine-6 version to commerate the 1st Corvette. That is how the ZO6 shouldve looked in 2006. Fantastic! True. Even the concept cars, like the mid-engined thing and the Stingray Concept were duplicated by Hotwheels. I think there's even a toy version of the Daytona Prototype. I have the January 2013 issue of Car and Driver. The issue has an extensive article on the C7 Corvette. Regarding materials it says: "Carbon-fiber (CF) floor and bulkhead panels adhesively bonded between the central backbone and the perimeter rails augment structural stiffness. We also expect CF to replace all the exterior panels." Sounds fairly high tech to me. @ Roosevelt: Dude, plastic is lighter than steel, doesn't rust, and doesn't dent, think about it, oh, and if you think we Americans are pathetic, you might want to keep your ignorant opinions to yourself.